Every rapper I&apos;ve ever talked to has been a human. So far. When you talk to a rapper you&apos;ve only listened to via songs for years, when you realize they&apos;re actually breathing and that means they&apos;re actually human, those breaths obliterate the distance between the words you&apos;re writing and the person you&apos;re writing about. That distance can serve as a crucial buffer, creating space for necessary criticism, but it can also be a crutch. It&apos;s easy to fire shots at people whose wealth and fame have made them so distant they might as well be holograms, but flesh and blood humans? Do you really believe in what you&apos;re writing, enough to say it to a very real person sitting across the table from you? That&apos;s the reason why interviews are so often an exercise in submerged paranoia for writers. An interview is a chance for an artist to not only promote their project but attempt to exercise some control over the way they&apos;re written about. Every word can be aimed at leveraging a positive review of that next album. At the same time, if a rapper really is human, that also means they&apos;re not purely marketing robots. Maybe they really do care about what you think, maybe they really did find that joke funny, and maybe both those impulses, the dual drives to control and connect on a more genuinely human level, are happening at the same time, within the same sentence. Wading through all those complications, deciphering the promotional from the human and then translating that person onto the page, that&apos;s the job. Big Sean is no different. In truth, ever since I first heard the skinny Detroit emcee with the quicksand-shifting flow, he&apos;s been more hologram than human. 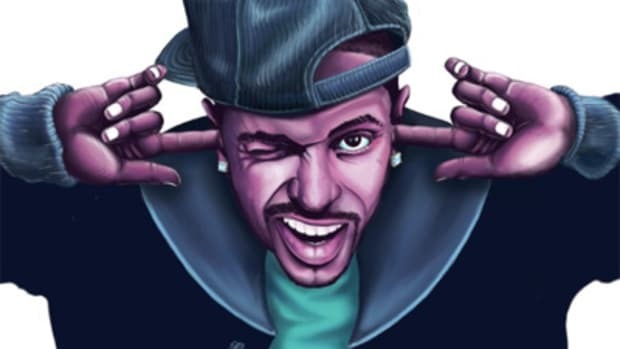 We all know the outlines by now: the Medium Sean jokes, his emergence as a rapper going head-to-head with Kanye and Jay, Kendrick&apos;s takeover of "Control," the hit singles, the gossip around who he&apos;s dating. These aren&apos;t so much chapters in the life of an actual human as they are storylines, memes, opportunities to rack up pageviews and retweets. 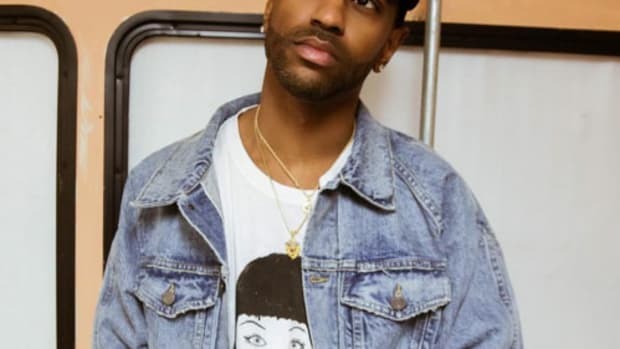 Having your life constantly turned into food to feed the internet&apos;s insatiable appetite for more content can be dehumanizing, but Big Sean&apos;s also devoted his life to becoming impossible to ignore. Living under a microscope isn&apos;t the price of fame, it is fame. So when the opportunity to talk to Sean in the midst of his promo run for Dark Sky Paradise came up, I&apos;ll admit I hesitated for a moment. The marketing-robot side of an artist is never more prevalent than during promo runs. Artists are forced to plaster on a smile and answer the exact same questions over and over again by a revolving door of writers starving for soundbites, all while feeling the pressure of those crucial first-week album sales numbers bearing down on them. It&apos;s no easy task to stay human inside such an intensely surreal environment, and no easy task for a writer to find the human within the hype. At the same time though, the chance to actually talk to the rapper I&apos;ve written so many words about, the challenge of searching for the real in a man who&apos;s found himself a staple of tabloid magazines, was just too much to resist. 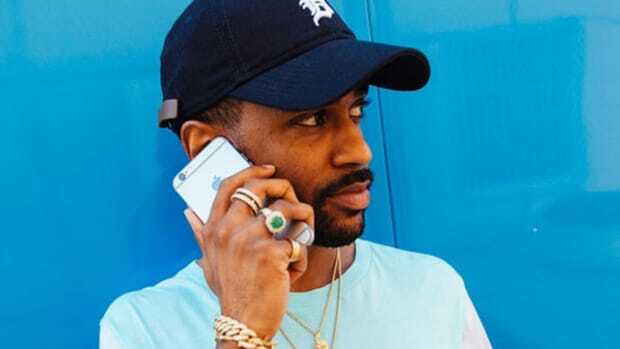 So on a Thursday afternoon, after I had hastily eaten a burrito for lunch and Big Sean was in the car running through a packed itinerary, my phone rang and a strangely familiar voice said, "What up?" 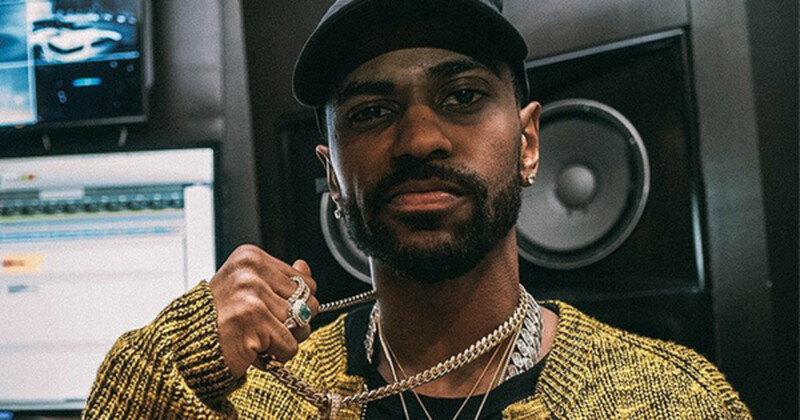 While the titles of his previous albums, Finally Famous and Hall of Fame, suggested a man who believed nothing was more important than getting to the moola, as a title like Dark Sky Paradise would suggest, Sean&apos;s latest work is his most personal and often vulnerable yet. He recorded the album entirely inside his L.A. home, he gave away his phone number (his actual phone number), he included a clip of a conversation with his father, all moves aimed at revealing the darker moments lurking behind the glimmering fame he worked so hard to achieve. "I just hope people can understand that I&apos;m human like we all are," he told me. "I go through craziness like we all do. I don&apos;t think I&apos;m any better or any worse. The only difference is that I put my privacy on the line." Putting that privacy on the line was about more than just relatability, it was also a means of using all that personal pain as fuel to push him creatively, to get him over a plateau he was beginning to feel like he was stuck at. "It&apos;s been a crazy time," Sean said. "From relationships to losing friends to losing my grandma...I feel like creatively I had to figure it out. I feel like I was in a creative hole and I had to get out." 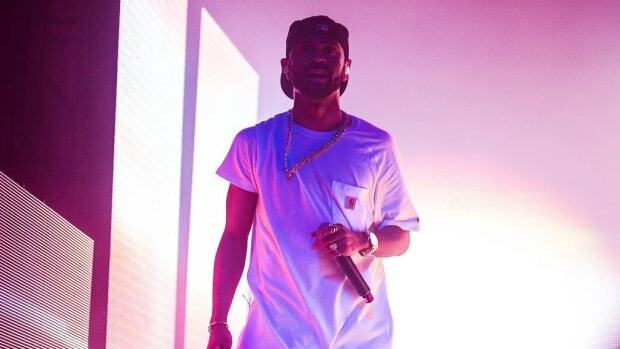 Especially in hip-hop, a genre that&apos;s created an atmosphere allergic reaction to even the smallest admission of weakness, hearing any artist admit they felt creatively stuck was surprising, but right now it feels like Sean&apos;s on a mission, determined to deliver the unflinching truth of his life. "I felt like my career was leveled out, it wasn&apos;t going up or down. I was like, I gotta boss us. I knew inside I had the same potential and talent as anyone else getting praise for being the best, I was willing to put the work in, dedicate my life to it." If Sean was going to be that honest I had to be honest too, so I admitted that before I heard Dark Sky Paradise, I didn&apos;t consider him a truly elite emcee. I&apos;d enjoyed my fair share of his music, these last few months you could find me unapologetically singing along to "IDFWU" while stuck in traffic, but I hadn&apos;t felt that deeper connection his work, mostly because my favorite artists all make complicated, flawed human music. With each listen to Dark Sky Paradise, though, I can feel my mind start to change, and I&apos;m not alone, Sean&apos;s aware of its potential effect as well. 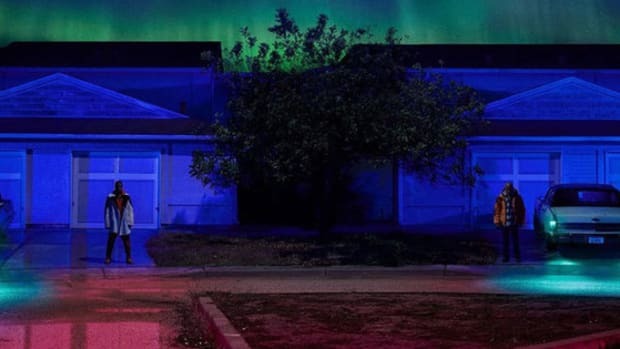 As he said, "This is an album that Big Sean fans and listeners can be proud of. And people who aren&apos;t that into me, I feel like their perspective may change, the tides may turn after listen to this." 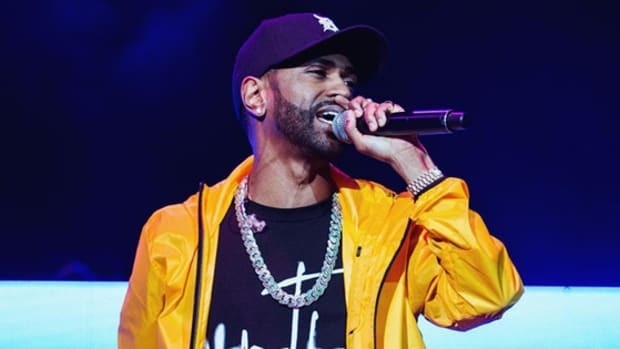 The conversion of some critics to fans may be a pleasant side effect of the album, but Sean also made it clear that his intentions reach far beyond proving he merely belongs hip-hop. On album standout "All Your Fault," he says he&apos;s striving to be rap equivalent of Jordan or Magic, and that&apos;s not just your typical, empty rapper boasting. 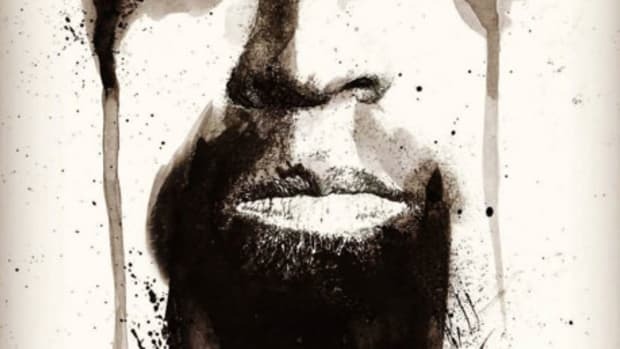 He really does appear to be driven by ambitions of greatness, phobic of anyone thinking his signing with Kanye was fortuitous luck, determined to one day see his proverbial jersey hanging in hip-hop&apos;s rafters. "I belong in the top ten," he said. "To be honest I want to be the best, I want to be the top rapper, and I want to take it further than that. I&apos;m doing it to be great, and if you&apos;re not doing what you&apos;re doing to be the best, you&apos;re not doing it. I believe in myself. A lot of people thought I would have faded out, but I&apos;m still here. I&apos;m still hungry. I&apos;m more focused than ever." Listening to this music, talking to him, that hunger is evident. Big Sean and I are not friends now. I&apos;m under no illusions about that. I&apos;d like to believe that at the very least our conversation was a welcome reprieve for him in a long string of interviews centered about Kanye and Ariana Grande questions, but the next time I have a fight with my wife I&apos;m not calling him to vent, and I&apos;m certainly not on his speed dial either. The joint tidal waves of media and the music industry pushed our lives together for 15 minutes, and now those same forces have pulled us back into our separate lives. But that one moment in our conversation, when it turns out Sean and I are both E-40 fans, when we both know every word to "Sprinkle Me," that was a moment of connection outside of any publicity, a moment I can now use as a lens to view his music through and perhaps see something beyond Big Sean the (finally) famous rapper and something closer to Sean Anderson, famous human. We talked to Tech about the GRAMMYs, his respect for everyone from Young Thug to Logic and much more.